These are the earrings and bracelets that I made from the beaded bucket I bought from "Hobby Lobby". I call this collection; iN Bloom. 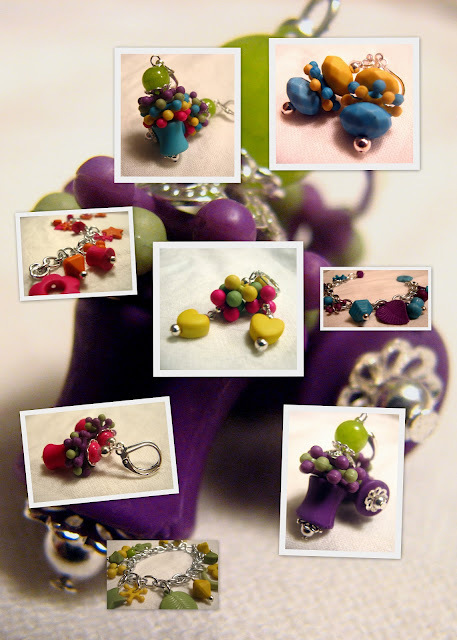 The colors are so bright and vibrant, it really makes the earrings POP! This collection will include such things as Jax Color Dangles named after the infamous game Jacks. Did you know this game is also called Knucklebones.